New Year’s Eve may feel like a distant memory for many Australians but for the team at Temple it’s fast approaching. In the lead up to Chinese New Year, which in 2019 lands on February 5 and ushers in the Year of the Pig, the brewery has created 888, a mandarin saison and “lucky ale”. Connecting beer with slightly left-of-centre events has long been a part of the Temple’s DNA, whether it’s with venues, cycling groups or back when the brewery made a pale ale with 90s pop-punk darlings Bodyjar. 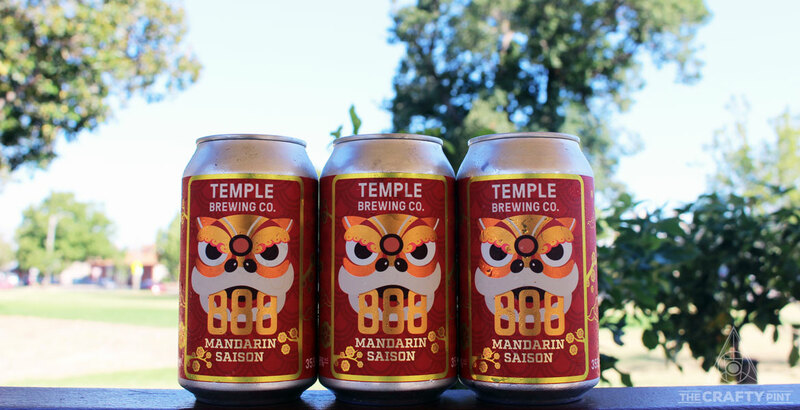 This time around, however, Temple’s marketing manager Jia Liang Lee says the intention was to highlight an important aspect of Chinese culture through beer. In an industry where the range of beers on offer at bars, festivals and events is rather more diverse than the people serving and drinking them, a beer that embraces another culture is a novel idea. In America, an increasing number of craft breweries have been making concerted efforts to make both their workforce and their customer base more diverse. 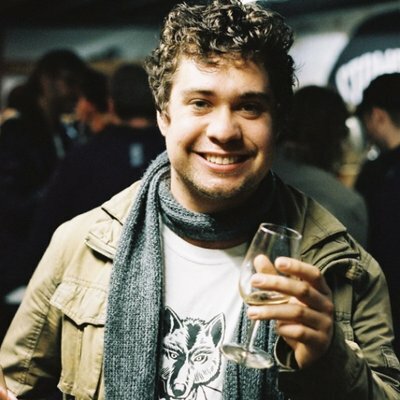 And, while Australia's beer industry might have some way to go in this area, Lee sees the way craft breweries are connected to each other and to their own community as a good start when it comes to breaking down any cultural barriers. 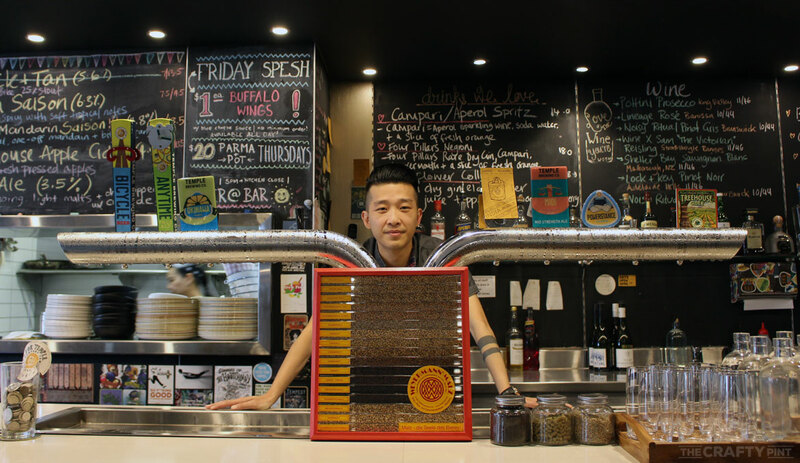 Jia Liang Lee behind the bar at Temple's brewery in Brunswick. As for the beer itself, 888 isn't the brewery’s first foray into citrus-driven exploration. Okinawa Sour, a kettle sour made with shikuwasa fruit that’s only grown in Taiwan and the Okinawa region of Japan, is now a staple in the brewery’s core range. It's a beer has been enjoying growing sales, both in Australia and Temple’s major export markets in China, Japan and Malaysia, and has shown the brewery how willing local restaurants are to embrace a beer that shares a connection with their food. “Asian restaurants – particular Japanese restaurants – are very patriotic towards the fact the fruit comes from the Okinawa region of Japan, so they do a lot of food pairings with it,” Lee says. To turn the farmhouse style into a “lucky ale”, the beer was brewed with both mandarin juice and orange peel before being dry-hopped with Mandarina Bavaria for an extra hit of citrus. In Chinese culture, mandarins are particularly significant at this time of year. It’s not just the flavours that are meant to connect 888 with the Lunar New Year either: the tinnies, designed by Kenneth Chuah, who also worked on the Okinawa Sour cans, brings together many aspects of Lunar New Year. The lion on the front represents the lion dance, which is performed in front of businesses to encourage prosperity for the ensuing year. The number eight is considered the luckiest of numbers in Chinese culture; and red is the luckiest of colours. Lee, who grew up in Malaysia before moving to Australia, hopes these design elements will encourage beer fans to better understand the customs that surround Chinese New Year. What's more, he says: "It's a mandarin saison. Who wouldn't like that?"